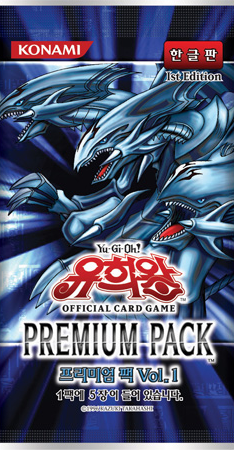 Premium Pack Vol.1 is a Korean pack, containing a number of cards that were released as promos in the Japanese OCG, that were previously unreleased in Korean. This pack shares its prefix, PP01, with the TCG Premium Pack, although they contain different cards. This page was last edited on 16 November 2017, at 15:11.